In this detailed Resource page, we feature an abundance of Netbeans IDE Tutorials! All the functions of the IDE are provided by modules. Each module provides a well-defined function, such as support for the Java language, editing, or support for the CVS versioning system, and SVN. NetBeans contains all the modules needed for Java development in a single download, allowing the user to start working immediately. Modules also allow NetBeans to be extended. New features, such as support for other programming languages, can be added by installing additional modules. For instance, Sun Studio, Sun Java Studio Enterprise, and Sun Java Studio Creator from Sun Microsystems are all based on the NetBeans IDE. If you wish to build up your Netbeans IDE knowledge first, check out our NetBeans IDE Tutorial. NetBeans IDE 8.0 is released, also providing new features for Java 8 technologies. 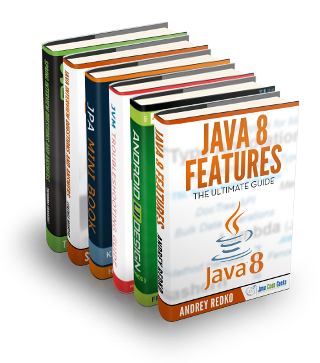 It has code analyzers and editors for working with Java SE 8, Java SE Embedded 8, and Java ME Embedded 8. NetBeans IDE 8.1 Beta has been released. NetBeans IDE has a track record, built up over 15 years, of delivering complete and comprehensive tools for Java developers. In this example we shall show you how to install NetBeans IDE 8.0 which was finally released on March 18, 2014, it provides out-of-the-box code analyzers and editors for working with the latest Java 8 technologies. In this example we will download and install the JBoss WildFly application server. We will integrate it with NetBeans so that we can manage it from NetBeans. In this example we will review different JDBC Driver Types. We will write a simple Java application to demonstrate how to use JDBC connectivity steps to access an SQLite database. In this example we will demonstrate how to create a JSF Application in NetBeans. Our application will display a simple form to the user asking to enter their name. In this example we are going to see how to download and install Netbeans, install the plugin, create a Vaadin project and run it on Tomcat. In this post I will introduce the basics of writing and running JUnit unit tests in NetBeans IDE. In this example, we will explain how to integrate Gradle with NetBeans IDE and how to perform basic Gradle tasks. In this tutorial we will discuss about java.library.path, its definition and how can be used by Java applications.